Although we all may be different in many ways, the Earth is something that we all have in common. We all live on the same green planet and all of our actions and choices impact the Earth. 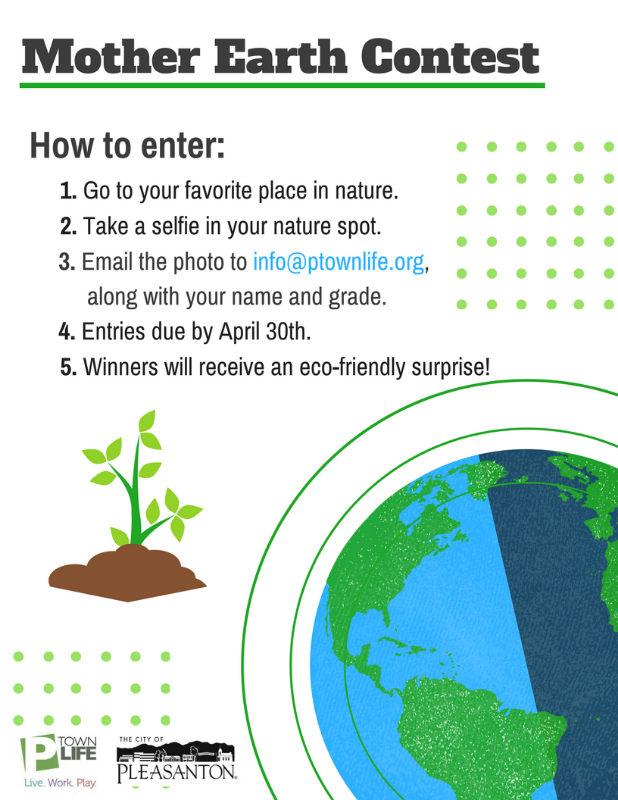 In honor of this year’s Earth Day (which is April 22nd), Ptownlife presents its newest contest: Mother Earth Contest. 1. Go to your favorite place in nature. 2. Take a picture of yourself in your nature spot. 3. Email the photo to info@ptownlife.org, along with your name and grade. 4. Entries are due April 30th. 5. Winners will receive an eco-friendly surprise! If you have any questions email us at info@ptownlife.org. We hope you have a great Earth Day and we look forward to all your entries!